I am willing to bet that very few people who walk by this on a daily basis know the story behind this memorial fountain by Joseph Wackerle. Operation Shamrock was a scheme bringing refugee children from mainland Europe to Ireland in the aftermath of the Second World War. It was organised by the Irish Red Cross, and involved about 500 children, mostly from Germany, who stayed for three years before returning home. Irish assistance to Germany reinforced in Britain the perception, fostered by wartime neutrality, that Ireland was pro-Nazi. Conversely, West Germany in the 1950s had gratitude for Ireland's postwar relief aid, and ties grew between the countries. 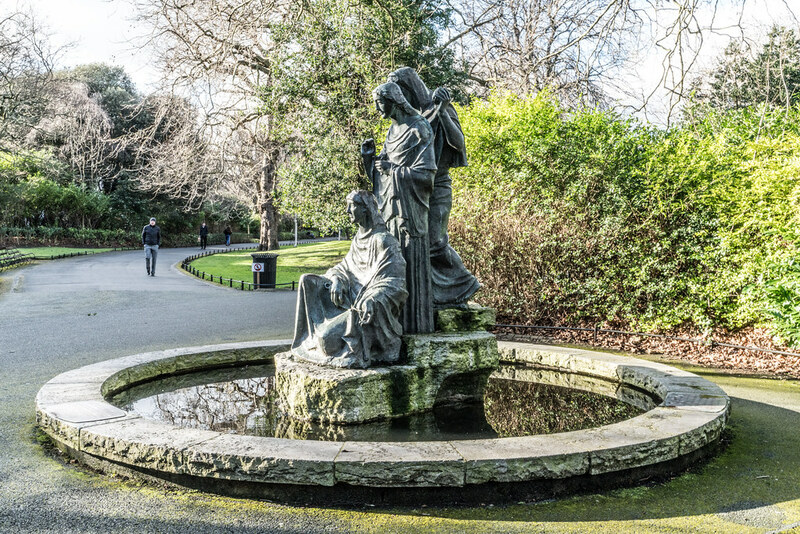 In January 1956 a memorial fountain sculpted by Joseph Wackerle and commissioned by the German Gratitude Fund was unveiled in St Stephen's Green, Dublin, by the West German ambassador. In 1961, the German war cemetery was opened near St Kevin's Hostel, Glencree, for graves of German aviators killed in Ireland during the war. In 1974, the hostel became the Glencree Centre for Peace and Reconciliation, which played a role in the Northern Ireland peace process in the 1990s. 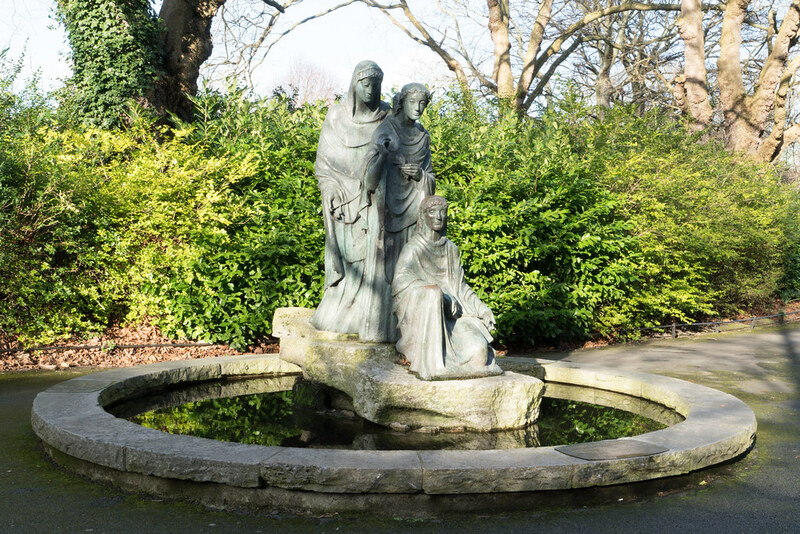 German-language courses provided for refugees in Dublin led to the foundation of St. Kilian's German School. In March 1997, a reunion of over 300 foster-children and families was held at the German embassy in Dublin, attended by Presidents Mary Robinson of Ireland and Roman Herzog of Germany. 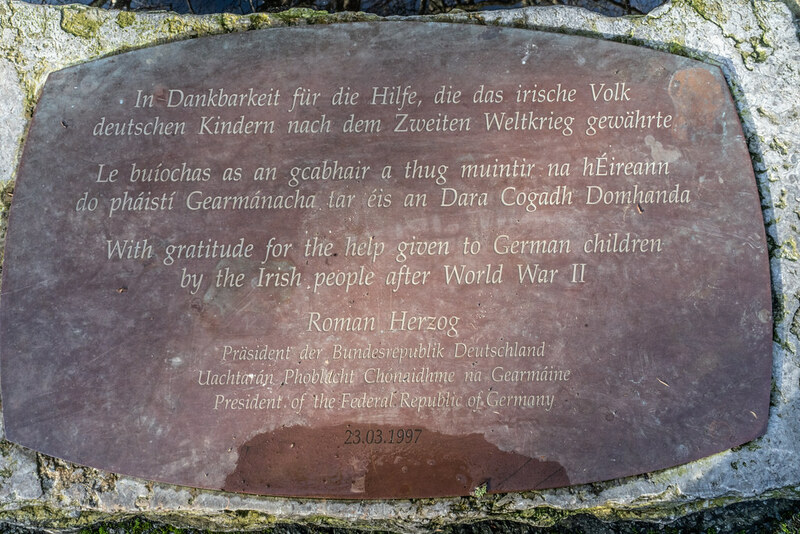 As part of The Gathering Ireland 2013, 21 refugee children from Germany, France and Austria returned to Glencree. 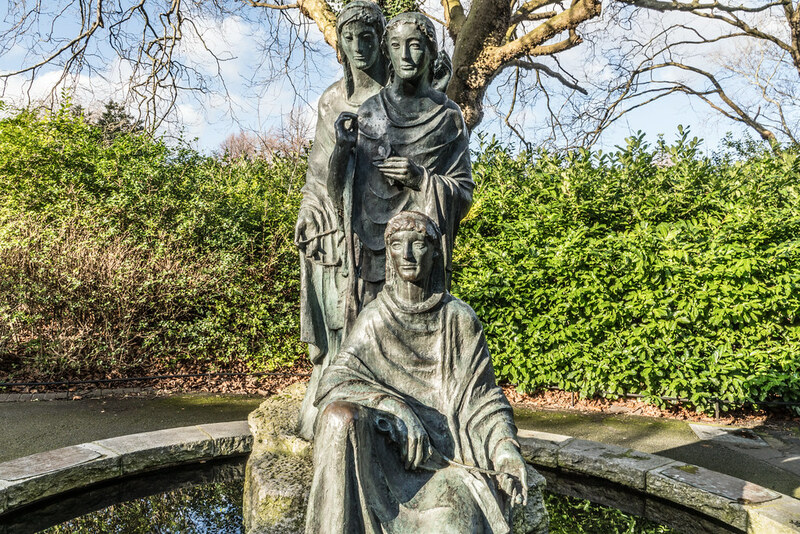 The sculpture consists of a group of three bronze figures from Norse mythology, representing the Three Fates, Urd (past), Verdandi (present) and Skuld (future). In Norse mythology these three female figures are known as norns, who rule the destiny of Gods and men. Around the fountain are three plaques. 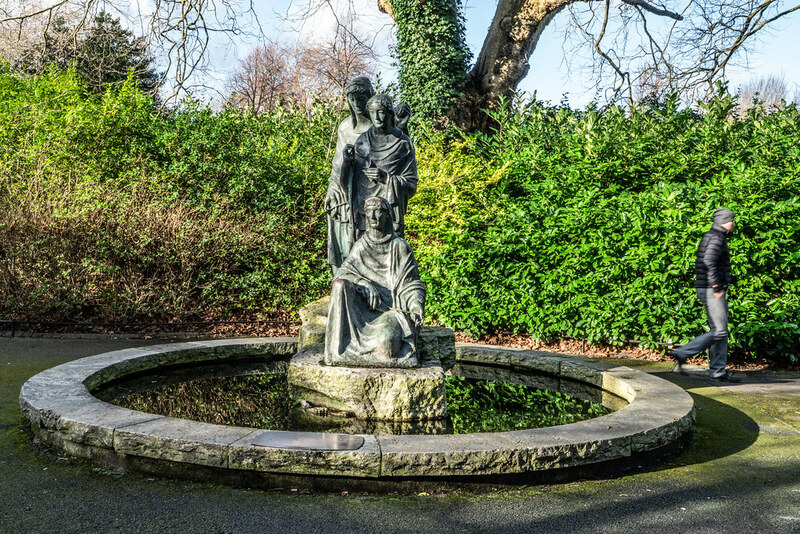 Each plaque says “This fountain, designed by the sculptor Josef Wackerle, is the gift of the people of the German Federal Republic to mark their gratitude for Ireland’s help after the war of 1939-45. 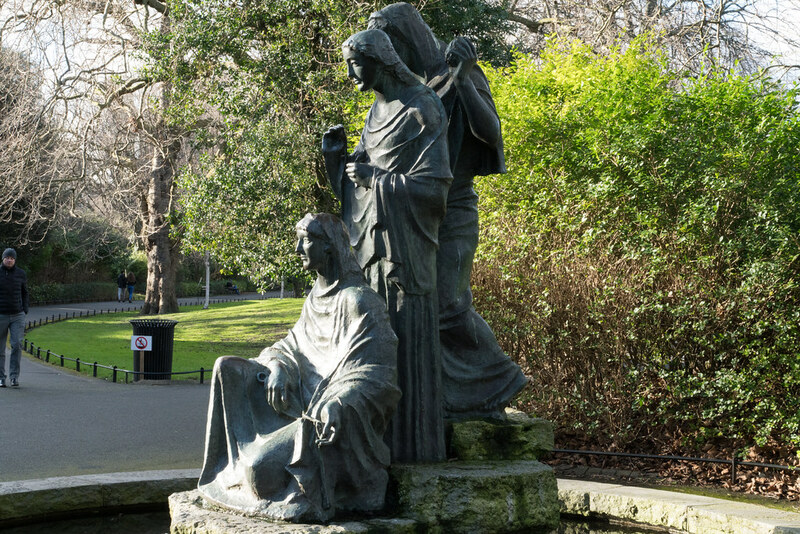 The bronze group portrays the three legendary fates spinning and measuring the thread of man’s destiny.” One is in English, the second is in Gaelic, and the third is in German.